Poet and first-time novelist Patrick Doud is the author of The Hunt for the Eye of Ogin, the first book in The Winnitok Tales series. In this interview we discuss some of Patrick’s writing, reading and gaming experiences and find out just how ancient he is (which unfortunately isn’t as ancient as me). 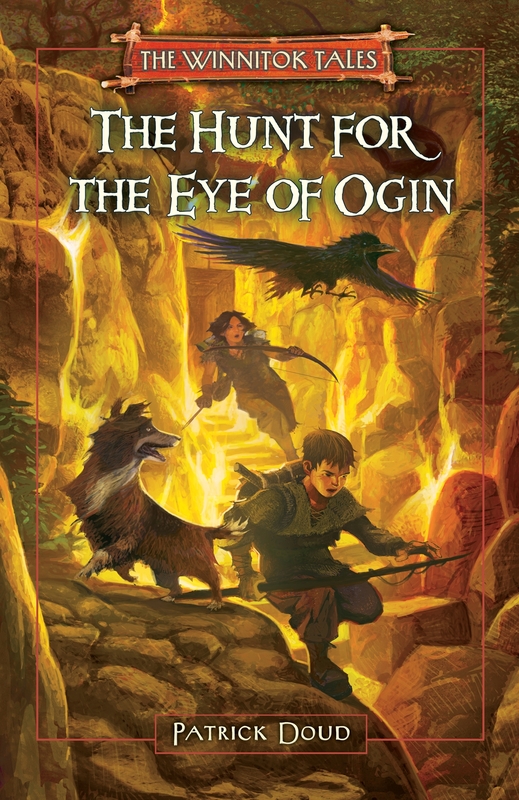 Your first novel, The Hunt for the Eye of Ogin, is an epic fantasy which was published in 2010. What was that experience like for you? Could you take a minute and explain what the story is about? Ogin begins with an unknown power snatching up thirteen-year-old Elwood Pitch and dropping him in an alternate universe. In this other world he makes some friends, and from them learns of a lost demigod that might be able to help him return home. Naturally, locating the missing immortal requires a magic turtle shell (the Eye of Ogin) that might be found in a vast swamp ruled by a frog demon. Elwood and his friends go looking for the Eye. Among other things, Elwood discovers there are unforeseen consequences to traveling between worlds. In the second book, which is set three years after the first, those consequences begin to play out. The book is being marketed as young adult fiction. Did you have a specific audience in mind when writing it? When it started I thought I wanted to write a book for children, but as the story grew that impulse became an unwelcome constraint. I abandoned it. 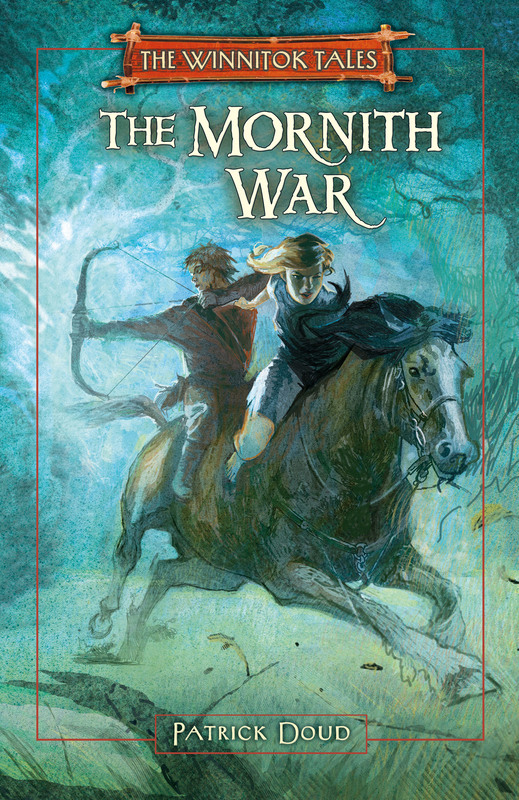 Still, Elwood Pitch is a teenager, and I can see the sense in categorizing The Winnitok Tales as young adult. Were you a big reader as a child/young adult? What were some of your favorite books and/or authors growing up? Yes, I did read a lot when I was a kid. I remember being deeply involved with The Great Brain books and the Little House books. Then, when I was seven or eight, I came across a copy of Ozma of Oz at school. I’ve been partial to books about other worlds ever since. This is not your first published work though. Would you mind explaining what else you’ve published in the past? Three little books of (mostly) oblique poetry were published in the nineties. Two of them, Girding the Ghost and The Man in Green, were done by the wonderful Lee Chapman, editor and publisher of First Intensity. Did you find moving from poetry to prose to be a difficult transition? Yes, extended prose narrative was tough after years of poetry. But as far as practice goes, the two have more in common than not. For me at least. Are you or have you ever been a gamer? What has your gaming experience been like (board games, pen & paper RPGs, console & computer games, etc.)? I’ve always loved games. I have two older brothers and a younger sister, and we grew up playing all kinds of games. My brothers invented turn-based rules for toy soldier battles using dice and a ruler. We had a fair amount of Britains LTD soldiers and many, many HO scale … Creating settings for these games, forts and terrain, was one of the most fun aspects for me. We also played a lot of Stratego and Risk. And Battleship. When Atari came along we had a lot of fights over getting a turn. When I was around ten or eleven–1978 or ’79–a friend’s older brother introduced us to Dungeons & Dragons. (This older brother also had a computer, on which he let us play Zork. We never got very far.) My friend and I were too young to play D&D with the older guys, but we managed to glean a sense of the game from their talk. I recall fantasising endlessly about the very idea of D&D before I ever played it. I borrowed a copy of Tunnels & Trolls from someone at school, and soon got my own copy of the D&D Blue Book. I spent a lot more time poring over these and designing dungeons than I did actually playing. Like so many others, I stopped playing altogether shortly after beginning high school. Whether this was because I was no longer interested, or thanks to nasty social pressures, or both, I can’t remember. I played a lot of chess in college and a lot of 8 ball in the years after college. I still love those games, though I almost never play them anymore. In the late nineties I fell into the clutches of pc video games. I still haven’t escaped. My favorite games combine FP perspective with RPG elements. The S.T.A.L.K.E.R. 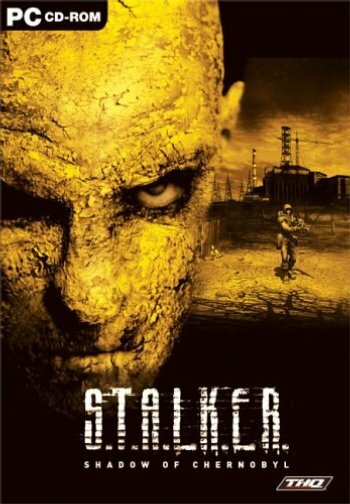 series (Ukrainian games based on the great Tarkovsky film, which was based on the scifi novella Roadside Picnic) does this very well, and is one of my favorites. I also love the Thief series. I like open game worlds: lots of choices, lots to explore. Not that I have to have it that way. Another favorite is the first Bioshock, which makes up for its linear, more limited world with delectable visuals and sounds (“atmosphere”). Would you say your gaming background has had any effect on you as a writer? I would say that. Most recently, while I was writing The Mornith War and wanting inspiration, I thought a lot about that golden age I just mentioned: the late seventies. It was such a rich period for my imagination. An uncle introduced me to J.R.R. Tolkien, the first Star Wars film came out, I discovered D&D… all within a relatively short period of time. While I was writing the latest book and thinking of those days, wanting to steal some of that magic and bring it back to the present, James Maliszewski’s “old school” RPG blog Grognardia was a reliable resource. Many, many posts helped me to reconnect with that time, and to retrieve memories that had been lost. I should thank him. I’m not insinuating that you are a nerd, but if you were ever to aspire to become one, is there something from your past you wouldn’t mind sharing that would help in establishing you some nerd cred? Something from my past…. Well, a while ago I got this letter from a gentleman called Randolph Carter asking me to do an interview…. Oh my…if that had been me, I would have shut down my computer and promptly drank myself into oblivion. Fortunately for us, that’s not what you did. Would you say there is grind involved in the writing process? Oh yes, there is grind. There are many days when I am uninspired, depressed, lazy … and the blank page/screen is as discouraging as a thousand miles of tundra to be crossed. The only way to get through those kinds of days is to keep writing–to grind away. When the thing I need is granted me; when the story or the poem shows me the way forward. While my four-year-old is at preschool. He takes a dim view of anything having my attention that is not him. effective. Also, Miyazaki films. Depends on the situation. You wake up to a world where The Hunt for the Eye of Ogin has been made into a pen & paper RPG. What character and/or class would you play and why? It’s difficult to choose, but I’ll say a wolf truan scout. To be something other than human, and walk around in the woods a lot. And last but definitely not least, when was the last time you rolled a twenty-sided die? It must have been sometime in the eighties. Yikes, I’m ancient. Thank you, Patrick. Best of luck to you on your future writing. This entry was posted on January 14, 2011 at 9:14 pm	and is filed under Uncategorized. 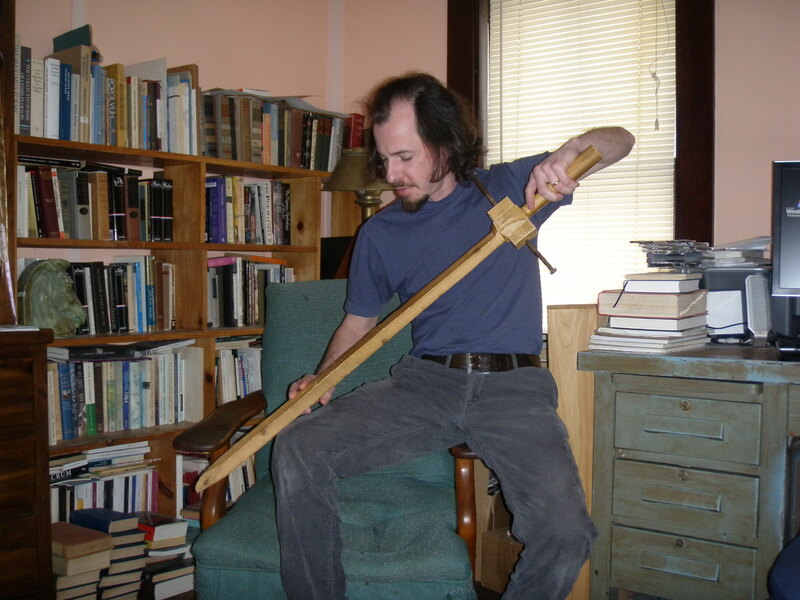 Tagged: Author interview, Hunt for the Eye of Ogin, Patrick Doud, Reading the text. You can follow any responses to this entry through the RSS 2.0 feed. You can leave a response, or trackback from your own site. What a very cool interview this is (I love the photo, too! ), and what great memories it brings back of my own experience of the same era at almost exactly the same age! Tolkien, D&D, the first STAR WARS film, being more in love with the subterranean settings themselves than in any extreme adherence to the rule books . . . I am now a teacher of ESL at a university, and I use my polyhedral dice all the time for different games and activities in class. The students love these quaint shapes from a bygone era, and the ghosts of many a long-completed campaign cavort unseen over their heads. I should have added: I am currently reading The Hunt for the Eye of Ogin, and it is amazing!